Abbott agrees to debate with Valdez, who says, "Call me, maybe?" Gov. 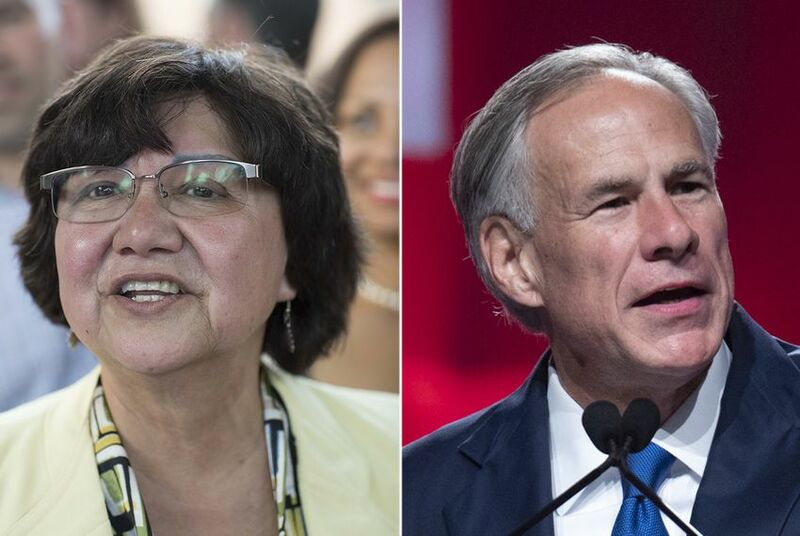 Greg Abbott has accepted an invitation from Nexstar Media Group to debate his Democratic challenger, Lupe Valdez, on Sept. 28 in Austin. The Republican governor's campaign made the first move Wednesday evening, announcing it had agreed to a debate request from Nexstar Media Group. Valdez, the former Dallas County sheriff, responded a short time later in a tweet that took issue with the debate's timing — a Friday evening in the middle of high school football season. "Thanks @GregAbbott_TX for accepting a debate!" she wrote. "We’re in and always happy to discuss our vision for a Texas that works for all. We haven’t agreed to the terms yet - but seriously, during Friday Night Lights? 🏈 Texans deserve better. Call me, maybe?" The debate would take place from 7 to 8 p.m. at a yet-to-be-determined location, according to Abbott's campaign. Nexstar would carry the debate on its 12 stations across Texas as well as partner stations in Dallas, Houston and San Antonio. It would also be broadcast online. "A statewide debate that allows voters to hear directly from candidates on what they believe is essential to the democratic process, and Governor Abbott looks forward to this opportunity to share his vision for the future of Texas," Abbott spokesman Alejandro Treviño said in a statement. "We look forward to our opponent accepting this invitation to discuss the critical issues on the minds of Texans, and we thank Nexstar Media Group for their generous offer to host this debate." After winning her party's nomination in May, Valdez said she was more than willing to debate Abbott. "I don’t have any problem with debates," Valdez told The Texas Tribune. "I’ve said from the very beginning, I don’t have any problem with that. I’ll debate him anytime." Lupe Valdez sees Texas Gov. Greg Abbott as President Donald Trump's "puppet"